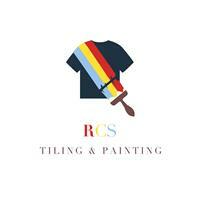 RCS Tiling & Painting - Painter/Decorator, Tiler - Tiling based in Blaina, Blaenau Gwent. My name's Rhys and I established my business in April 2017. Since then we have expanded all over, as far as Bristol and wherever requested. At RCS Tiling & Painting we offer a friendly and reliable service, detailed and precise workmanship at reasonable prices. We cover all Tiling & Painting work. Interior and Exterior. Our aim is to deliver 100% customer satisfaction with knowledge, dedication and experience. We guarantee all work for 12 months. We are fully insured for customer peace of mind. We go the extra mile to make sure that every customer gets exactly what they want. We are happy to say that we now accept all major credit & debit cards.